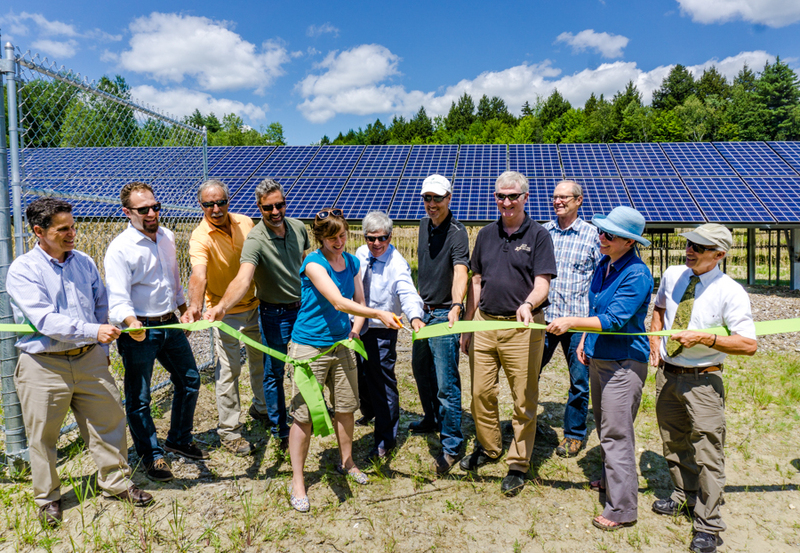 Officials from the City of Montpelier met with Kendall Sustainable Infrastructure (KSI), and its partners Novus Energy Development and Green Lantern for the ribbon-cutting ceremony of a solar project in Montpelier today. The project is one of a portfolio of similar KSI projects in Vermont. The project creates power that will offset the City of Montpelier’s energy usage and reduce its energy bills. The system is just under 700 kWDC, which is expected to generate approximately 800,000 kilowatt hours of clean electricity during its first year in service. The City of Montpelier has estimated that it will save between $40,000 and $50,000 a year in energy costs through the program. The Montpelier solar project is part of the Montpelier Energy Advisory Committee’s (MEAC) “Net Zero Montpelier” program to move toward clean energy sources. “The Montpelier Energy Advisory Committee is very excited to see the results of many years of hard work to bring these solar arrays online for the City,” said Kate Stephenson, MEAC Chair. Along with Stephenson, City Manager Bill Fraser, array owners KSI, and members of MEAC met at the site to highlight the achievement. About Kendall Sustainable Infrastructure: Kendall Sustainable Infrastructure, LLC (“KSI”) is a private real asset firm focused on sustainable infrastructure projects. KSI’s projects serve municipalities, universities, schools, hospitals, businesses and community members. KSI is based in Cambridge, MA.